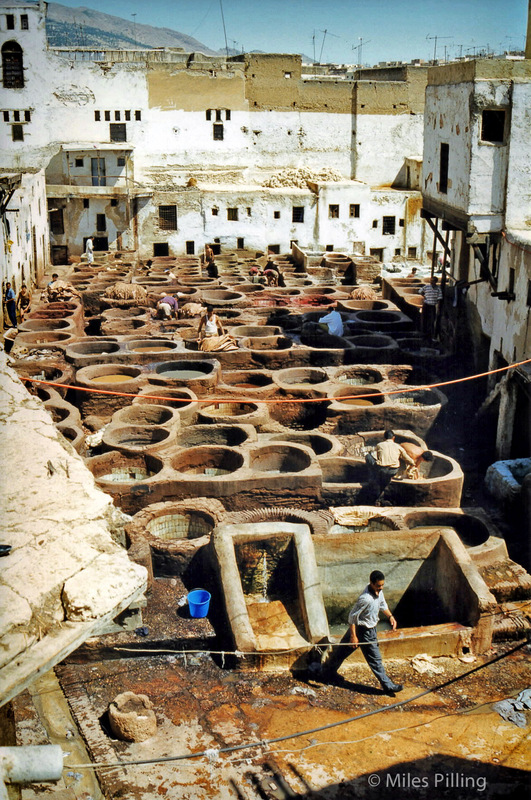 Some more personal photographic treasure found in the recesses of our family loft – These photos were taken during a backpacking trip my (then) future wife Ali and I made from Spain around Morocco during August and September 1997. 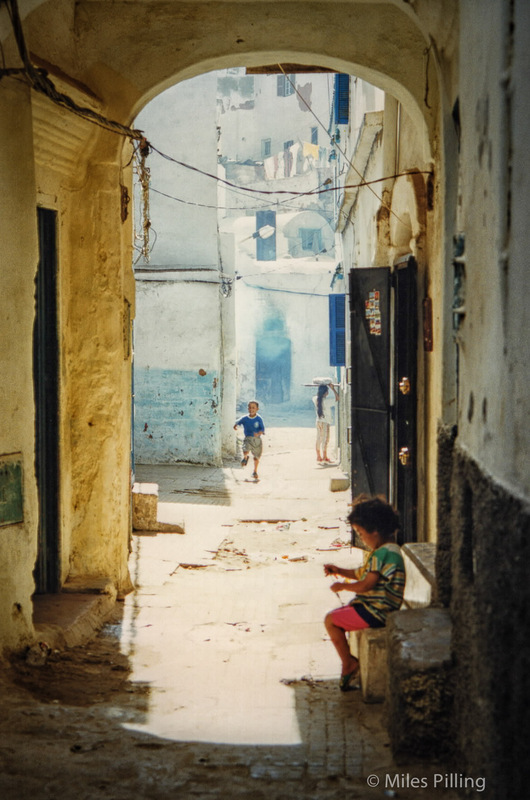 I love the painterly effect this photo of children playing in the blue and white, north Moroccan town of Chefchaouen has after being scanned and developed. Children seemed to have more freedom to roam than they did back home in the UK. 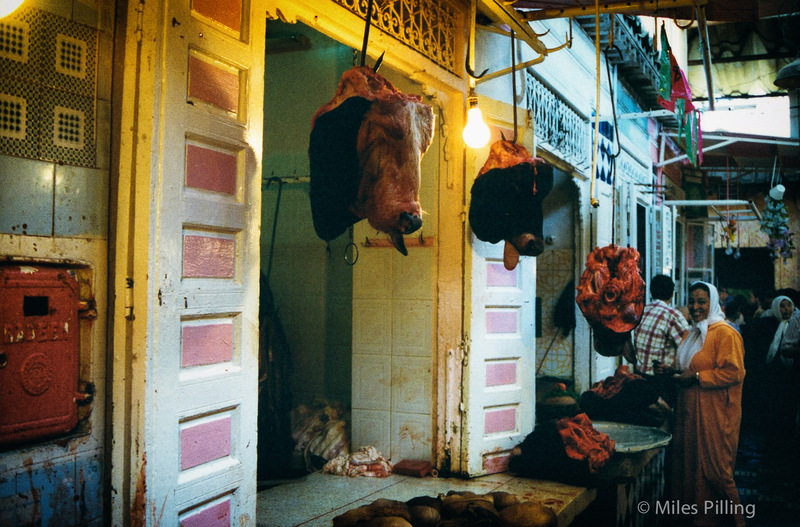 A walk through a Moroccan meat market is perhaps not for the faint hearted or vegetarians! 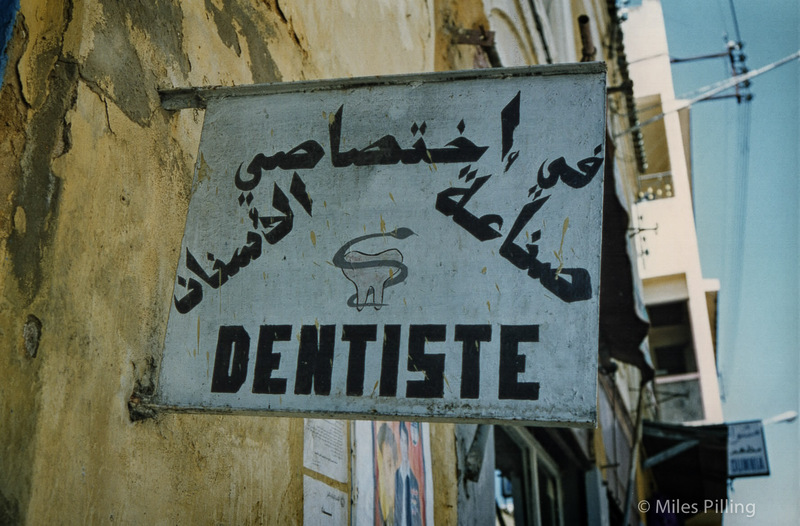 Don’t break a tooth chewing on that tough cows head or you could end up here! 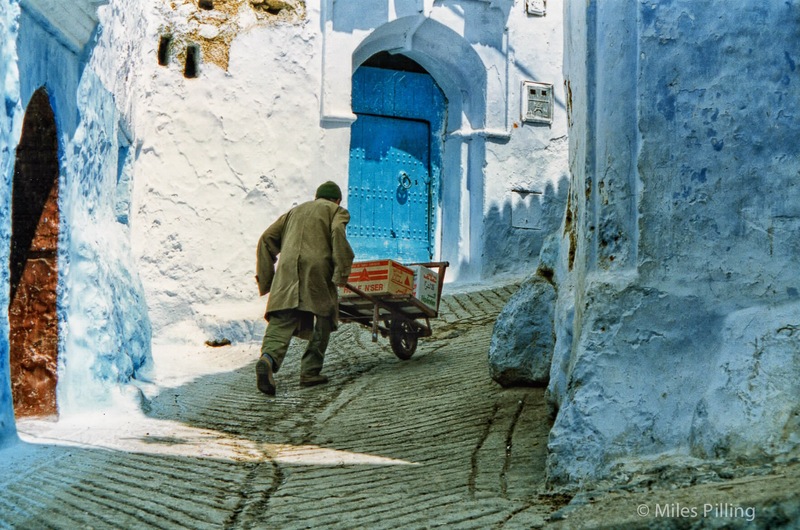 It was hard enough clambering around hilly Chefchaouen with a camera, but some locals made a living pushing goods up the hills. 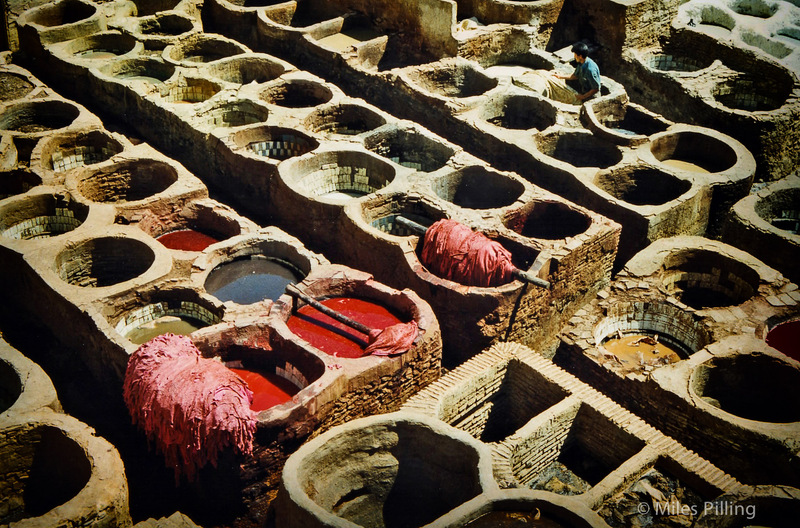 In Fez, there’s an even harder living to be made at the City’s famous leather tanneries. 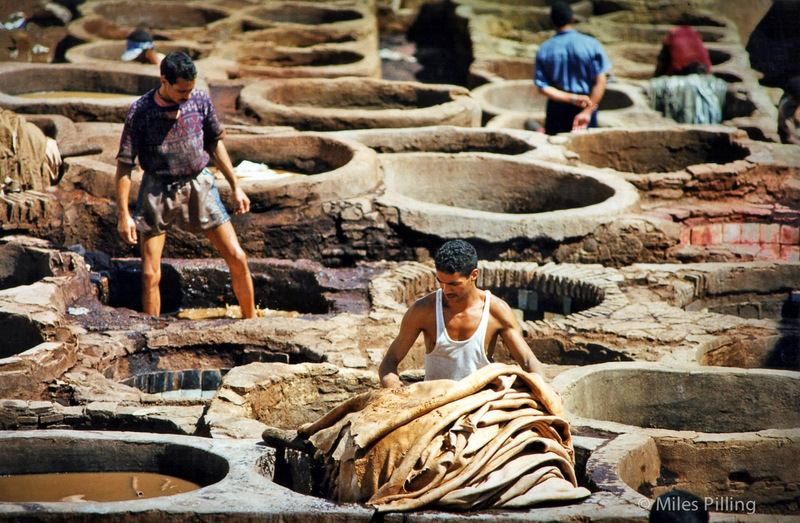 Supposedly the oldest in the world and still using traditional methods (and health and safety rules!). I hope you’ve enjoyed this latest insight into my photographic travels from back in the 90’s. 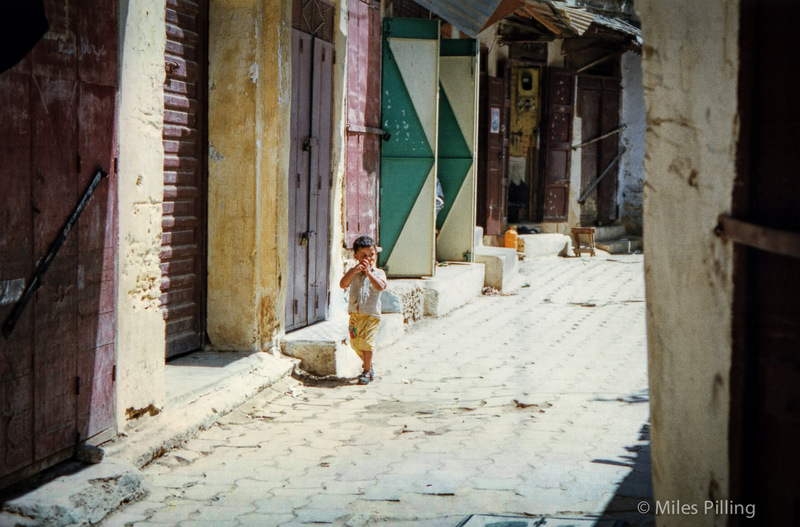 There are even more of the 35mm Morocco images on the Mindful Photos 35mm gallery page, here. You can also look at the individual gallery pages for Venice and Cyprus too. What fabulous reminders of your trip together! Some stunning images, Miles!! Such awesome photos!! Thank you for sharing them! Very good sense of place!